When Crystal Bath & Shower Company handles your bathroom remodel, you can spend more time focusing on special touches like the sink, faucets, and other hardware. 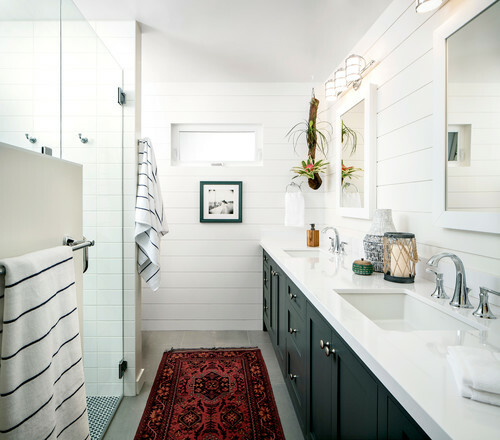 As you prepare to choose your bathroom fixtures, there are many considerations to make, from design preferences to engineering and functionality. Here are some considerations to keep in mind as you begin selecting bathroom fixtures for your remodel. Sinks: When it comes to your sink, standalone sinks like the pedestal style sink save space and work well in guest bathrooms. Pedestal sinks are available in oblong, rectangular, or traditional oval shapes. Bathroom vanities with sinks attached allow for more storage and cabinetry. Often this solution works better for a master bath or shared bathroom. In terms of materials, sinks can be made of traditional china, glass, stainless steel, copper, or even cast iron with unique finishes like sea salt and ember. Pedestal sinks are a beautiful traditional option. They sit atop a pedestal and are often made of porcelain. 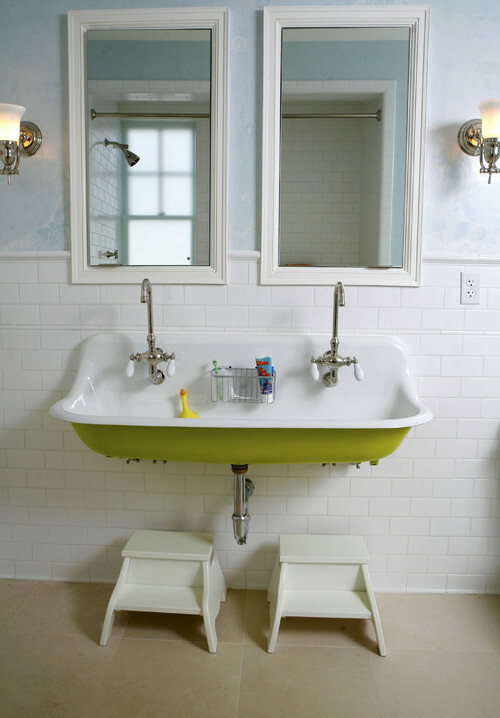 Drop-in sinks sit atop a vanity countertop with the faucet attached. Undermount sinks are seamlessly connected to the vanity countertop and sit inside it. Vessel sinks, a more high-end option, float atop a vanity countertop and are often made of unique, eye-catching materials. Single-hole faucets are great for small bathrooms. There’s only one sink hole, and the spout and mixing handles are combined in one simple unit. Center-set faucets combine the spout and handles into one unit that mounts onto the sink deck. These work well for most sinks, though if you’re a fan of the hot-cold handles, you’ll want a widespread mount faucet. Widespread mount faucets come with the handles separate from the spout, with a distance of 8 inches or more between handles. Wall-mount faucets are a more unique style where the plumbing goes through the wall and above the sink. 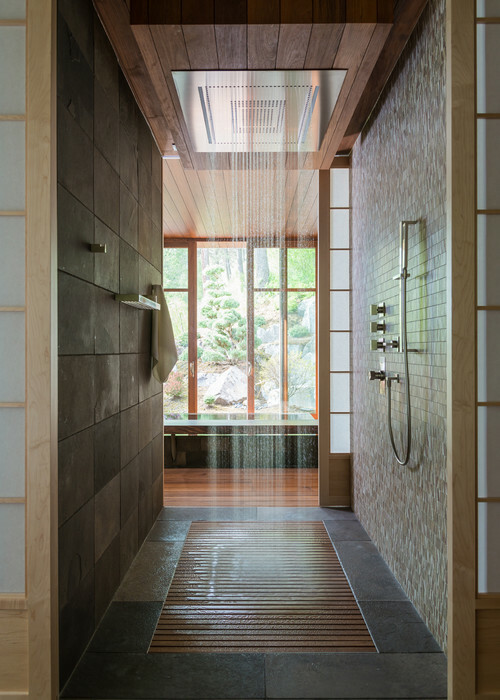 Shower Fixtures: In your shower, you can choose from a single shower head or multiple shower heads and sprayers throughout the shower for a spa-inspired bathroom design. Rain shower heads are a popular option which make you feel as if you’re showering under a waterfall. Dual shower heads are another option for more than one person to shower at a time. Shower fixtures can be installed as the typical wall mount, as handheld units, or as a combination of the two. To learn more about your bathroom remodeling options, contact us at Crystal Bath & Shower Company. We provide free quotes on shower remodels for all households.